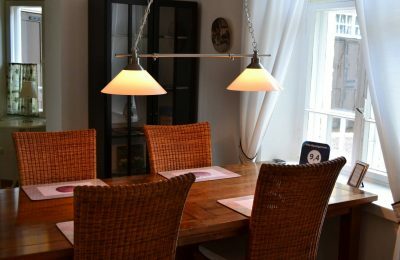 The dining room includes a dining table and chair set. 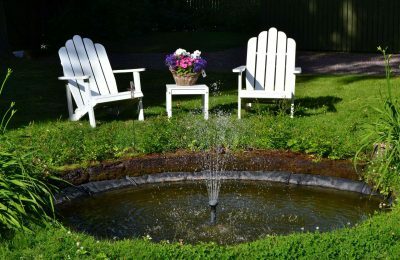 Beneath the apple tree you can enjoy the heat of the summer and the fountain. 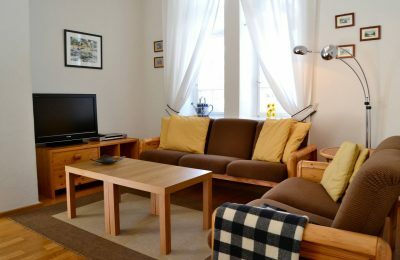 The living room is big and furnished with two sofas, coffee table and a flat screen TV. 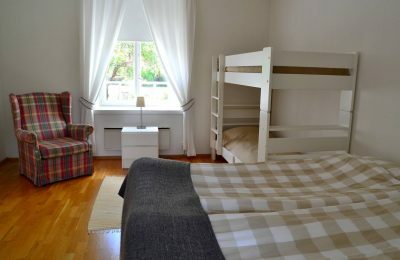 The bedroom is ideal for 4 people, as it is provided with a double and bunk bed. 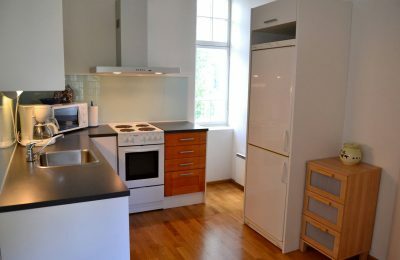 The kitchen is fully equipped with pots and pans, an oven, coffee machine, fridge, microwave and an electric kettle. A wonderfully idyllic environment and the apartment wins hotels in every way. A central, yet peaceful place. Clean and comfortable by all means. Amazing place to stay, held by a family. Nice, cozy and incredibly comfortable. 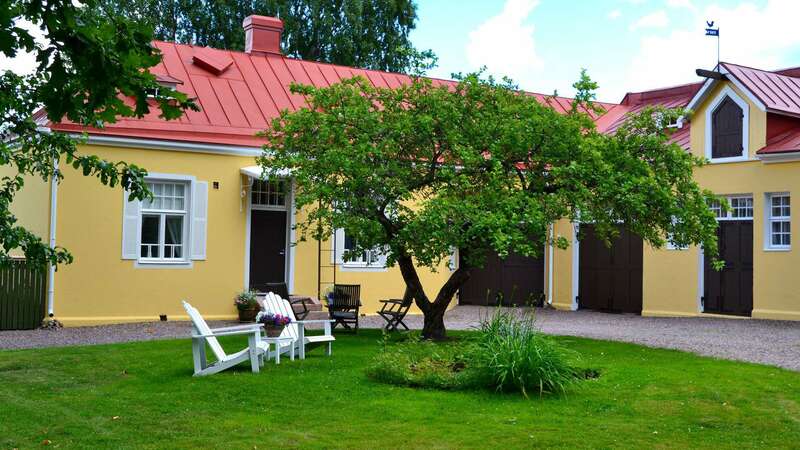 Authentic Finnish stay. The host was such a cheerful and chirpy lady. Super clean and unique place in a pretty little town.